Classy colt Om (3c Munnings x Rare Cat, by Tabasco Cat) has always threatened to win a good race and finally delivered on his potential when capturing the $250,500 Grade II Del Mar Derby. Om is the colt that beat Triple Crown hero American Pharoah at Del Mar last August when the star colt was making his debut, but while American Pharoah has since gone on to become a legend, Om has under-performed until now. Trained by Dan Hendricks, Om had not won a stakes race until the Del Mar Derby, but judging by the authority of his victory it won’t be his last. 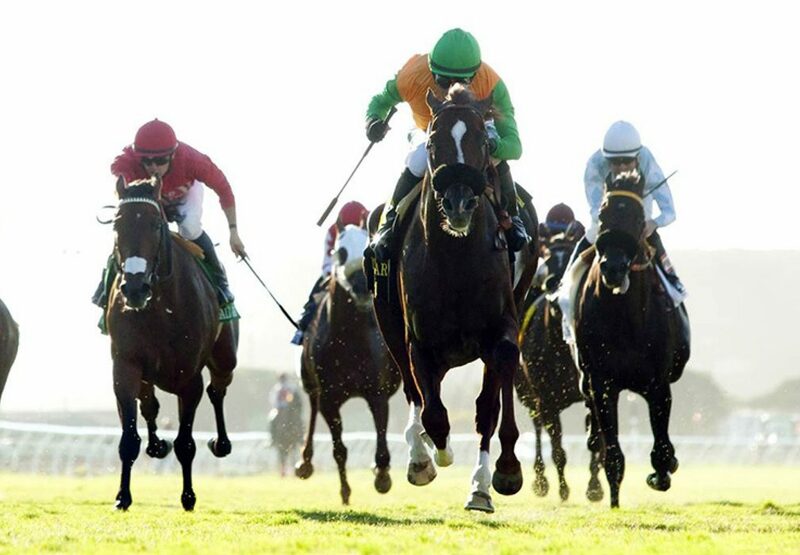 Sent to the post without blinkers for the first time, Om led comfortably and cruised clear to win the 1 and 1/18th mile contest by more than two lengths. “We pointed for this,” said Dan Hendricks. “It’s just good when everything pays off. You do your due diligence and the harder you work the luckier you get. “He’s what I would call a really old-school horse. 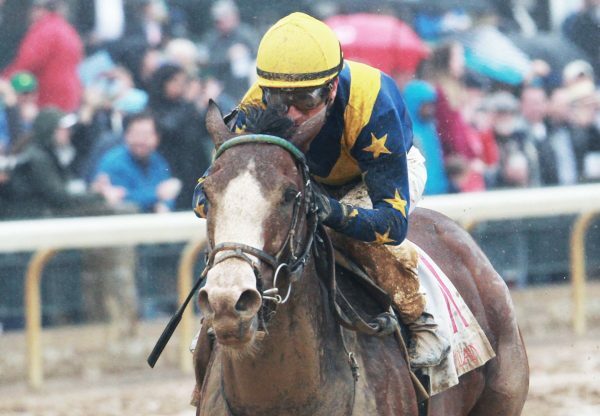 He’s just a coarse, tough, good feeling horse and it worked out just the way we’d talked about for two weeks.” A $60,000 Keeneland September Yearling, he fetched $125,000 when re-offered last year at the Barretts March Sale after breezing a furlong in a tick over 10 seconds. Om has the overall record of three wins and two placings from seven starts with prizemoney topping $274,000. 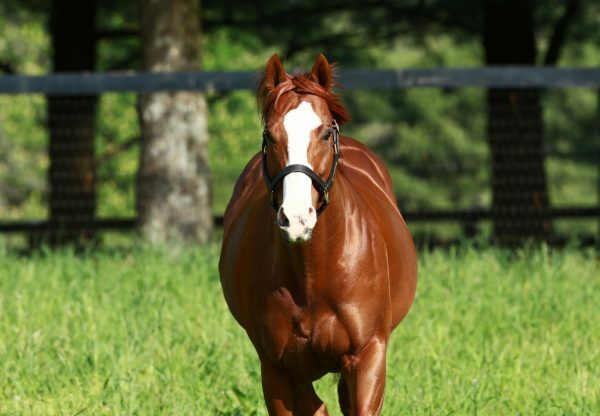 The 11th stakes-winner for leading Second Crop sire Munnings, Om is a half-brother to stakes-placed Bear Dixiecat from Rare Cat, a half-sister to Grade III winner Rare Rock.